Have you thought about investing in commercial property? You’re not alone — faced with the prospect of more moderate returns from their residential property investments, many investors are considering this as an alternative. By this I mean offices, shops or warehouses. Some investors are looking for diversification in their investment portfolios; others are looking for positive cash flow. Some investors have noticed that most of the institutional property investors as well as many of the investors you read about in the Financial Review Rich 200 List own mainly commercial properties. 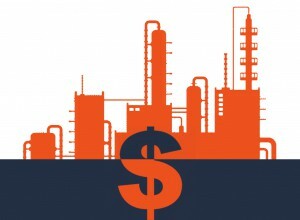 WHAT MAKES A GOOD INDUSTRIAL INVESTMENT? 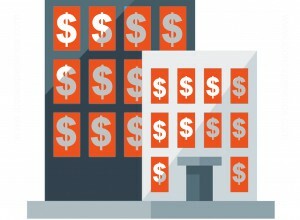 WHAT MAKES A GOOD OFFICE INVESTMENT? 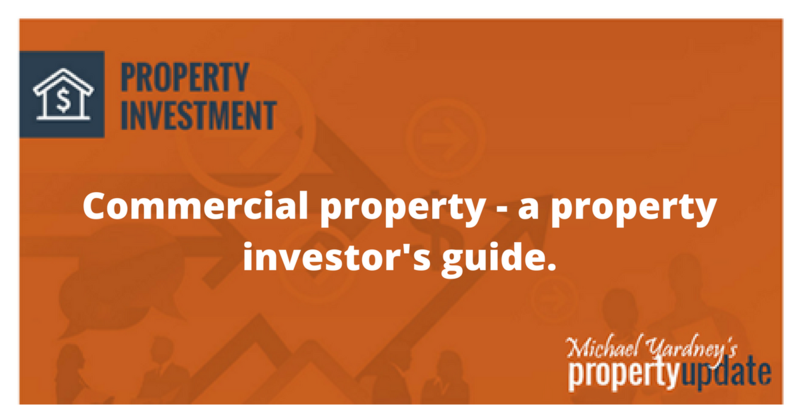 Before you embark into commercial property investment you must recognise that there are considerable differences between commercial and industrial properties compared with residential real estate. Commercial properties tend to yield a higher return than residential properties – usually between 5% to 10% net; compared to residential properties which yield 3% to 4% gross (then you still have to pay the rates, taxes, insurance, etc.) That’s becuase professional investors require a higher rental return from their commercial properties to make up for the relatively weaker capital growth, the longer vacancy factors and potentially higher risks. 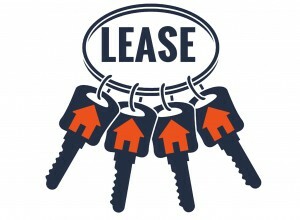 Leases for commercial properties tend to be for longer periods, often 3 to 5 years as opposed to the 12 month lease which is common in residential properties. Rents are usually charged as a rate per square meter and rent reviews are incorporated in the lease document. Rent reviews may be calculated every year or 18 months and can be an increase to market rental or an increase by the increase in the amount of the CPI. Some leases have a clause preventing the rent to drop even if the prevailing market rent drops. Tenants in commercial properties usually pay all the outgoings such as rates, taxes and insurance, while with residential property the landlord pays these. Because your tenant conducts their business from your commercial property, they tend to look after it better than residential tenants do, usually maintaining and painting the property. Commercial properties are less management intensive – tenants don’t tend to bother you for small items like leaking taps. 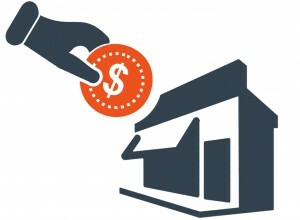 Lenders will usually only lend up to 70% of the value of commercial or industrial properties. I don’t know of any mortgage insurers who will lend on commercial property. This means the investor needs to come up with more equity to purchase a commercial property. The initial capital required to get in to a good commercial property is usually considerably higher than that required for residential properties, as a good shop or office in a strong centre may cost 2 or 3 times the price of a unit or apartment. Sure you can buy cheap shops in secondary centres, but they will usually have secondary tenants who are more likely to go broke and leave you with a vacancy. 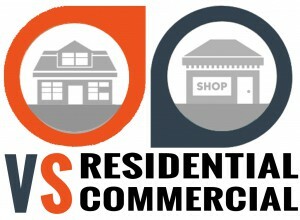 Interest rates for a loan on commercial properties are usually higher than for residential properties. When vacancies occur in commercial properties, they are often vacant for considerably longer periods than the week or 2 you may have a residential property vacant. How often have you seen a shop in your community shopping centre vacant for weeks or months? 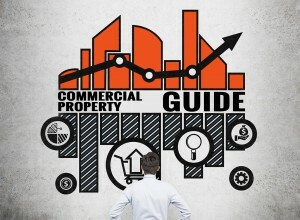 The cycle for commercial properties is different to that for residential properties and is even more dependant on the general economic factors than the residential market. The lease required on a commercial property is much more complex and usually requires a solicitor to prepare it. 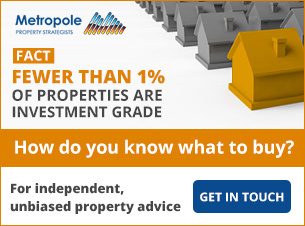 It’s easier for you to pick a top performing residential investment. Most beginning investors know what to look for in a residential property – they have lived in a house, but few would know what a tenant looks for in a good commercial or industrial property unless they have conducted their own business from one. Strong returns — Over the years commercial property has provided strong returns as a combination of capital gain and income. Stability of income — One of the important features of commercial property is returns are generally high and more secure. Returns for property fluctuate considerably less than returns on shares. Low risk — There is less volatility in the values commercial property than in shares — if you own the right property. Exposure to different sectors of the economy — Retail and industrial properties have a direct relationship to the general state of the economy. Retail property depends upon consumer spending. Tax benefits — Commercial properties provide generous tax benefits with substantial depreciation allowances. Some buildings also attract building allowances, were a portion of the structural cost can be offset against the assessable income. Hedge against inflation — The value of commercial property and rentals of commercial properties have outpaced inflation over the long period. Investment control — As the owner of a commercial property you have a significant degree of control over your investment. You can choose to do improve your return through renovations, upgrading, and change of the use of the property, or you may amend the terms of the lease or the type of tenant you have and you always have the option of further development of the property or dispose of it. Leverage — Just as with residential properties it is possible to leverage your returns by borrowing up to 70% of the value of commercial property. Adding value — Just as investors in residential property are able to add value by buying a run down property and renovating or redeveloping it, there are opportunities in commercial property to add value. In particular, if you can increase the rental income from your property this will directly reflect on the valuation of the property. Lack of liquidity — Selling a commercial property can take several months — often longer than it takes to sell a well located residential property. Scarcity of other information — If you are interested in share or in residential property there are many blogs, magazines, newspapers and websites that will help keep you informed and make you a better educated investor. There are very few information resources for people interested in commercial real estate. You will find some articles in the Australian Financial Review and in the reports produced by some of the larger commercial property agencies. Ongoing management — Direct property investment in commercial properties can require your ongoing management but usually requires less management than similarly priced residential properties. Values of commercial properties are largely driven by rental returns or the potential for capital growth. To estimate the value of a 100 sqm shop which is leased for $40,000 net per annum, the general rule of thumb is to divide the rental by a yield acceptable to the market at the time. Which means the property is worth about $530,000. 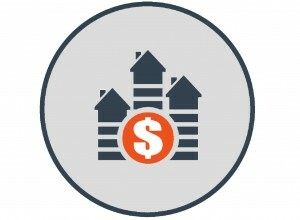 Yields vary from 3.5% for premium locations with strong tenants to up to over 10% in poorer locations with weak tenants. Other factors that affect the return are potential for capital growth, redevelopment potential and tax related factors. This is completely different to the way residential property is valued. A house is worth much the same if it has a tenant in place or not. In fact it is usually worth less if there is a tenant on a long term lease as owner occupiers would not buy the property. With commercial properties, which are valued based on their rental return (or potential income) a vacant property usually carries a substantial discount to a leased property. This creates some tremendous opportunities because if you buy a vacant property and find a tenant to take it on a long term lease you increase its value substantially. Similarly if you find a property that is significantly underlet and at the lease expiration or the market review of the rental you can increase the rent, once again you increase the value of the property. When investing in the retail sector, it is important to consider how the emergence of on line shopping is changing the way Australians do their shopping. At the same time it’s important to understand how the retailing giants in Australia have now taken over the bulk of the retail market. With their increased purchasing power, they can afford to open longer hours and have put great pressure on the small retailer. Also the face of retailing has altered in Australia. In the past most of the successful retail chains were represented in the retail shopping strips. Now they are mainly in the large shopping centres owned by the listed trusts like Westfield and which have become something of an entertainment mecca for families. The strip shopping centers and corner shops have suffered as the big retailers have moved to these centers. Recently, as these large shopping complexes have become even larger, many shoppers seem to be returning to the strip shopping centre where parking is easier and there is less hustle and bustle. They also find the local retailers more personal. Another change is the trend to “bulky goods centres” those large warehouse type centres that house retailers like Harvey Norman and other electrical or furniture retailers. These types of centres have increased the entry level of the costs to snare a large major player as a tenant. 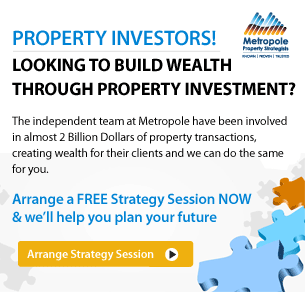 So the average investor is left with the possibility of buying a shop in a neighbourhood or strip retail centre with a small business as a tenant. But statistics show that 80% of small businesses fail within the first 5 years of starting up. This means that retail tenancies are possibly more risky unless you can afford to own the larger type of premises that are required by the big retailing chains. When developers plan a shopping centre, one of the first likely tenants spoken to is one of the high volume selling food chains such as Coles or Woolworths. There are now a number of minor players coming in to this category as well, known for having a customer attracting pricing policy. Developers like this sort of tenant because with a key tenant in their centers, other retailers will be encouraged to lease there because of the custom the main tenant will attract. Similarly in strip shopping centers, if there is a substantial and successful retailer who is attracting customers in large volumes then other retailers will be encouraged to locate near them. If there are no key retailers there, then it is unlikely shoppers will be attracted to the centre. So when looking to purchase a retail investment, while you may not be in the category that will be able to purchase a property that would house one of these key retailers, it is important to find a retail investment near such a retailer. This should enable you to always find a tenant for your property. The lease terms for retail properties are different to those of other types of properties. A fixed rental with CPI increases adjusted annually for a period of say 3-5 years and with a rent review to market rental at a particular interval during the lease or at the expiration of the lease if an option is taken up. This is the most common form of rental agreement as it seems to be fair to both parties. 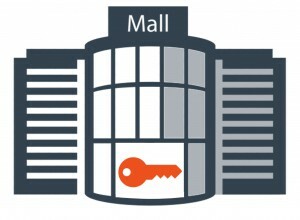 It gives the retailer security of tenure and the owner a reasonable tenancy security. A minimum fixed rental plus a percentage of the turnover that the retailer has. This is a common leasing arrangement for supermarkets. These later two have reasonably wide use in the food retailing industry, particularly for supermarkets and this is the way the large shopping complexes like to structure their leases. But they have some obvious disincentives. The harder the retailer works the more he has to pay. It is also difficult to fix a percentage and it would require you to have a good understanding of the retailers business. The most likely retailer investments for smaller investors are in existing strip shopping centers. There may also be opportunities for you to undertake a small development in strip or neighbourhood shopping centers. You could buy an older shop and refurbish it or put offices on top. Shops in a corner location make great investments as they have 2 street frontages and more exposure. 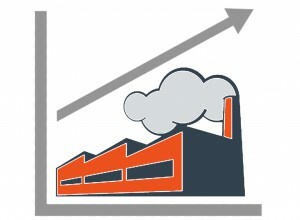 Industrial property primarily consists of factories and warehouses. Many of these buildings now contain large amounts of offices as our industrial base has changed from manufacturing to more storage and distribution. Industrial buildings now house a range of activities from research and development space which requires a large component of office space through to vacant warehouse space. In recent times industrial developments have sprung up in industrial parks where there is a large garden component and greater amenities for tenants. Tenants prefer to be situated in a cleaner, newer, better constructed and laid out premises. These buildings often have large column free space with about 15-20% of the building’s space available as offices. The size of industrial premises can vary from small factoriettes to large multi hectare distribution centers. The smaller factories provide the average investor with an opportunity to get into the industrial sector at a relatively low cost. Many new buildings are purpose built for an end user in mind, but if you are building a complex speculatively, try and make the building design flexible so that a potential tenant can have as much percentage office space as they require. Many small companies now require putting 25 and 50% of the building as office space. Some geographic locations specialise in different types of industrial space. By that I mean that some areas have become well known for their high tech research areas or computer facilities. Others because of proximity to major highways or freeways become warehousing and distribution centre. Because of the change in the way the Australian industry works with less manufacturing and more importing and warehousing today’s industrial buildings are different to those built in the past. Truck manoeuvring areas are increasing in size to accommodate larger trucks able to carry containers. This list of requirements is what larger national and multinational companies are looking for. This means that most older warehouse buildings would not suit their needs. However, smaller businesses do not require all these facilities and would prefer not to pay for the latest state of the art building. A flexible facility which can easily be reconfigured to accommodate tenant’s expansion or different configurations of office space will create a better long term investment. Good location, as many industrial properties require access to freeways and population centers for their employees. Adequate onsite parking for staff and visitors. Sufficient access for large trucks, particularly those with containers. This means the entrance to the warehouse has to be higher and driveways can’t have steep slopes. Good staff amenities, including toilets, kitchen, air conditioning in the offices. 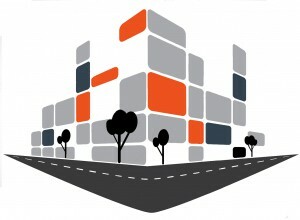 Flexibility to include offices and showrooms in the premises. Generous roof heights as many tenants use modern racking that stores goods higher. As with all investments, selecting your tenant is important and while you can’t be as strict with your house keeping requirements as you can in residential or office tenancies, as a landlord you should set the standards about general tidiness outside the building and disposal of wastes. 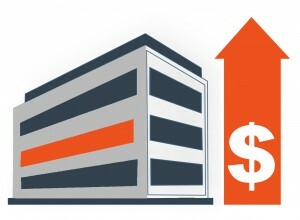 These rents are higher if there is a large office component than if they is more open warehouse. Leases are usually for 3 years with annual CPI adjustments. Industrial buildings are relatively simple to build, taking a short period of time and take much less time to build than office structures. Typically rents and occupancy levels experience slow and steady increases during periods of economic expansion and slight declines during recessions but in general the industrial market is less volatile than other commercial property markets. Commercial usually refers to office accommodation. In the past this was mainly the high-rise buildings that dominate our city landscape. These tend to be the province of specialist developers and large institutions. Commercial properties are attractive investments because they have relatively stable income with ongoing continuous cash flows. If you choose a commerci ally zoned property in a good area you should be assured of capital growth. While these may be out of your league at present it doesn’t mean you shouldn’t know about and understand the principles because one day you may get there. There are a number of ways to get into the commercial market. Develop a new building from the ground up. It would be preferable if you can design it for a known end user who needs the office space. Recycle an existing building for office use or refurbish an older office building and bring it up to date. 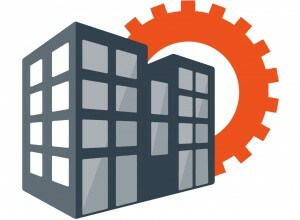 Purchase an existing building with tenants on leases. As with all investments, choosing a tenant for your office building is important, as careful selection will underpin your continuing income. The good news is that Australia’s service sector is growing rapidly, and despite the trend to working remotely or offshore, there is a steady demand for good office space. The most desirable tenants are those with a good track record in business or in the type of business that has the potential for growth. Solicitors and accountants have shown substantial durability over the years and have a public image of reliability and responsibility. Leases for office space are usually for periods of 3-5 years with tenants paying all the outgoings often including managing agent’s fees. Rents can be fixed for the first 3 year period or have annual CPI increases. At the end of the initial lease period there is usually a review to market rental. Office building investments tend to be the domain of large syndicates and institutions or investment trusts, but there is still room for the smaller investor to purchase an office building. Office buildings run the full spectrum from large high rise city office buildings in the CBD to small suburban office buildings. Offices are usually categorized by class to evaluate the building’s age, location and quality of finishes. Three classes of office space are usually defined. Class A buildings are the most desirable and feature high grade features and amenities and provide high status to its occupants. Class B buildings tend to be older buildings that were once class A but now lack some of the modern amenities and technological features. They usually lease for lower rents and are attractive to smaller tenants because of their economies. Class C buildings are often older and have not kept up with the trends. There are sometimes opportunities to refurbish older buildings and bring them back to class B or class A. One of the most important features of an office building that is required by tenants is availability of car parking or if in the CBD, proximity to transports for both occupants and clients. Tenants of office buildings also want proximity to banks and restaurants or facilities for lunch or entertainment of clients. Many large office buildings now contain restaurants and shopping in the areas just to please the requirements of its tenants. Suburban office buildings should be located close to transport such as freeways but preferably not on major highways or arterial roads as access for visitors is often limited to side streets or rear lanes on these buildings. When tenants look for office space they often work out the ratio of the space allocated to each employee. In the past, average space allocated for employees was 25sqm which included a proportion of the shared facilities, corridors and rest rooms. While the amount of space varies significantly depending on the industry the space requirement for employees has decreased often to 15sqm per employee. How many floors are in the building? Is it a low rise, mid rise or high rise building? High rise buildings tend to be more prestigious and may offer special views, but are of course more expensive. Is the property inside a block surrounded by other buildings or is it on a corner? Corner locations are preferable as they often give extra views and greater natural light. Is access to the building and parking easy? Does the flow of traffic assist accessibility? Tenants prefer easy and convenient access. Does the building have visibility from the street and a sense of presence? Are the uses surrounding the buildings compatible? It is often preferable to be located in an office area surrounded by buildings of similar use. For example many tenants will not want to lease space in a build building that is next door to a KFC outlet. Does the building have curb appeal? Is it well landscaped and well maintained? 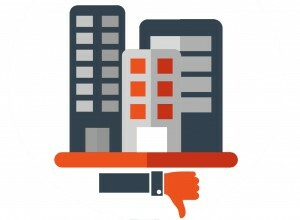 The initial impression a building has may affect a tenant’s decision to lease the property. If possible, get a building with timeless qualities that will appeal to tenants over the long term. What type of parking exists? Is it secure and underground? Is it free? What cost is the monthly rate? Are car parks in tandem, in other words, one behind the other which makes life more difficult when one employee has to leave? 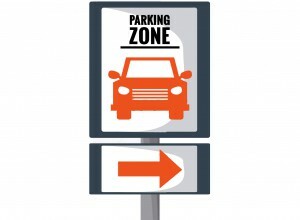 Are car parks undercover and underground? What type of exterior does the building have? Does it have a timeless quality of granite, glass or concrete? How will it look in 10 years time? The building should look good in 10 years time when leases expire and you may want to sell or release the building. Is the lobby a modern style or out dated? Is the image of the lobby appropriate to the type of tenants you want in the building? Today, many firms are sensitive to cost issues and do not want extravagant lobbies. Are the rest room and common tea room facilities modern? What is the proportion of lifts to floor area? It is often recommended that you have one lift per 3000sqm. The speeds of lifts and elevators is also important as people don’t like to be kept waiting. What amenities does the building have? Typically larger buildings have a fitness centre, a restaurant or deli, communal conference rooms or small retail outlets. Smaller office buildings typically do not have these amenities but similar facilities should be located nearby in the surrounding shops. Does the building have facilities for handicapped visitors? If the building is currently leased, check what type of tenants leased the building, are they concentrated in a particular industry? Are they secure tenants or start ups with an unproven track record? If you have multiple leases, are they staggered so that not all leases expire at the same time? When analysing a potential commercial investment property, check that the heating and air-conditioning systems are able to cope with the capacity of tenants in the building. This has become particularly more important as the floor space for employee ratio diminishes meaning that more employees will be working within the building. Also check its telecommunications capabilities and make sure it can be wired for internet and cables. Why did you choose to move into this particular building? What other buildings did you look at? Has this building met your expectations? Do you have any problems with the building? 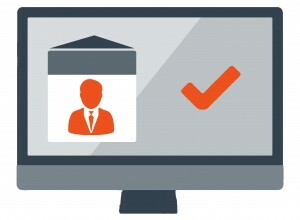 Are the managing agents for the building responsive? Are you planning to renew your lease when it expires? If so why or why not? 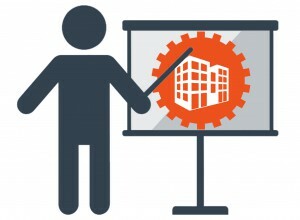 Understanding the market is the key to success in commercial property. Read what you can and get to know the market well. Research every thing from the big picture (projections of the economy and vacancy rates) to small details such as walking around and ringing agents to check on rents in the area. Investigate the health of the business sector you expect your tenant to come form and changes to infrastructure and local and state authorities plan for the region. Always invest in prime retail, commercial or industrial locations — high demand positions that are popular with tenants and purchasers. Consider visibility, accessibility to public transport and parking. When commencing investment in commercial property mitigate your risks by buying one that is already leased to a good tenant on a long lease. As the value of your commercial investment will depend upon your rental return, a strong tenant on a long lease (minimum 5 years) will underpin a great investment. 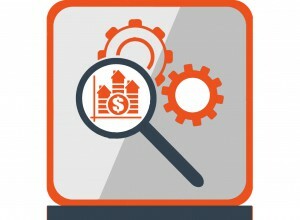 Check the rental per sq mt and ensure that the rate is not inflated compared to market rentals. If the rental on your lease is $500 per sq mt and the market rental is $700 per sq mt then there is upside potential at our next rent review. If the current rent is above market rental, you may be overpaying for the property and you will have liitle upside potential for rent reviews and therefore increased capital values. This includes the length of the lease, the frequency and methods of rent review, and who pays the operating costs. Of course it would be preferable to have a long lease with regular rent reviews to market with a minimum of CPI increase and a tenant who pays all the outgoings. Generally recently built properties will have ongoing appeal to tenants and require less renovation. They will also have higher depreciation benefits. This means you will not be left with an inefficient floor layout if you sublease the space. For industrial buildings it means buildings where the proportion of office space can easily be varied. Look for undercapitalised properties. Ones where tenants are paying below market rent or properties that are underdeveloped.